Luxurious Ground Floor Beachfront Villa invites you to walk right out your door to the white sand beach and refreshing pool. This property along with its sister property, Palmas De Cortez Resort, are recognized as 'The Place To Stay' in Los Barriles. We are located in the heart of the quaint fishing village of Los Barriles, Baja California Sur and within walking distance to shops, grocery stores and wonderful restaurants. Due to our central location, no rental car is necessary and transportation is available to and from the San Jose Del Cabo and La Paz airport. We have been told by our return guests that we have the nicest, most private unit in our complex, both for location and amenities. Our Villa is approximately 1200 sq.feet in size. It is divided into two main rooms (living room with new sectional couch and queen size pull out bed and master bedroom with king size bed). There is also a queen size automatic blow up air mattress and a small cot for additional sleep options. There is separate airconditioning in each room as well as ceiling fans in both rooms. An out door shower is provided for your return from the beach. This villa is perfect for families, friends or couples wishing to have separate sleeping quarters and their own private bathrooms. It is beautifully appointed with marble countertops, marble floors and stainless steel appliances. The kitchen is spacious with all the equipment for the most creative cooks; including a Sub Zero refrigerator, Viking cooktop and two separate sinks. Enjoy a brand new 46' Flat Screen HDTV for those of you that want to stay connected to the outside world or don't want to miss american Idol. We are not the least expensive 1 bedroom but as all our guests will tell you, we are the best. Our Villa comes with *FREE* wireless internet service in our unit, so bring your laptop and stay connected while you're away. The East Cape is world famous for its sport fishing and is considered to be the 'fishing capital of the world'. Fishing charters are available just steps away at the adjoining Hotel Palmas De Cortez owned and operated by Van Wormer Resorts. Don't fish? You can charter a boat for a day of sight seeing, whale watching, diving or snorkeling right next door. For those of you that kite surf or wind surf, you can go right out to the beach from the villa and take off. No need to walk or drive to North Beach. Guests are invited to use the amenities at the Palmas De Cortez which include a day spa,(the best massage I've ever had), tennis courts, gym and a variety of water and outdoor activities such as jet skiing, kayaking or shore fishing and ATV rentals. Cabo Pulmo, with world renowned diving and snorkeling, is just an hour south. You can rent an ATV within walking distance so you can explore the miles of roads and trails that lead to deserted beaches or down an arroyo up into the mountains. A day trip to Santiago, 30 minutes away, provides waterfalls, hot springs, and authentic Mexican Pueblo charm. You will fall in love with this town and the people just as we did. Not only are the locals friendly and accommodating but you will feel safe and secure in a luxurious environment with all the flavor of Old Mexico. If you want a little more excitement, you can drive south about 90 minutes to Cabo San Lucas and go see Sammy Hagar's famous Cabo Wabo. After a day in 'the city', you'll be anxious to get back to the serenity and relaxation of Los Barriles. I am I a retired optometrist and my husband deals in collectables and is a world class Disc golf player. We enjoy racing cars for a hobby and love Our life in the Baja in the winter. My husband and I fell in love with this beautiful town and magical beach the very first time we visited. The atmosphere is so peaceful and laid back that you can't help but relax. We wanted a winter get away from the snow and a place we could drive to. Los Barriles is everything we wanted and so much more than we expected. We can hop on a plane from Durango Colorado in the morning and be in our villa by lunch time! One of the things we love the most about our villa is the view of the Sea of Cortez and the coastline. We love 'outdoor living' and being on oceanfront ground floor level allows us to walk right out our door morning or night and walk on an uncrowded beach. Don't forget a margarita on the terrace at happy hour watching the boats return from a day of fishing. You can never get enough! Then Master Bath has a wonderful large bath tub and shower for those of you that enjoy a relaxing soak in the tub. There is direct access to the beach from our unit. Just go out the sliding glass door, walk about 15 steps past the pool and and you will be on the beach and Sea of Cortez. We are directly on the beach and ocean (Sea of Cortez). We have forced air conditiong but if you prefer the fresh air, we have overhead fans in the living room and bedroom. Bosch stackable washer / dryer in unit. You are welcome to use the fitness room at the Palmas De Cortez hotel next door. Wireless internet service available in villa. Small convection / toaster oven. Both standard drip coffee maker as well as a French press. A coffe grinder is also provided. Some spices, oils and basics to cook with. We love to cook since we have the best view for dining right our out door. Therefore; we have equiped our kitchen with the best. Sub Zero refrigerator / freezer. Viking cook top. GE dishwasher. Two separate sinks. Blender, coffee pot, coffee grinder, toaster/convection oven, wine bar, microwave, pressure cooker and crock pot. 42' Flat Screen American Dish HD satellite TV in living room and bedroom. Includes local channels, ABC, NBC, CBS, FOX and Yes, ESPN AND HBO! We even have a DVR so you can record your favorite shows while you're at the beach! Kayaks available for rent next door. We have a lovely terrace with a table and chairs for outdoor dining or happy hour margaritas. You can also sit in the chaise lounges and have a drink while reading your favorite book or just take a nap outdoors. Walk in infinity pool with adjacent large jacuzzi pool. * Please note, our pools are not heated in the winter. Catering available! Have meals prepared for you or catch your own fish, use the BBQ available and have dinner on the patio with your own private view of the ocean. our first time in this town and loved it. this condo and property are perfect. location is the best. feels secure, clean. great amenities. condo was stocked with everything from spices and cookware to all the towels and sheets etc you would need. actually a nice hydabed. master bed is comfortable. literally on the water. We loved every minute of our stay at the Villas. The location can’t be beat. It was so lovely to step right out of our door onto the gorgeous patio to the pool and the Sea of Cortez just beyond. Pedro was so helpful, and the margaritas at the poolside bar were the best! Perfect getaway. Can’t wait to return! 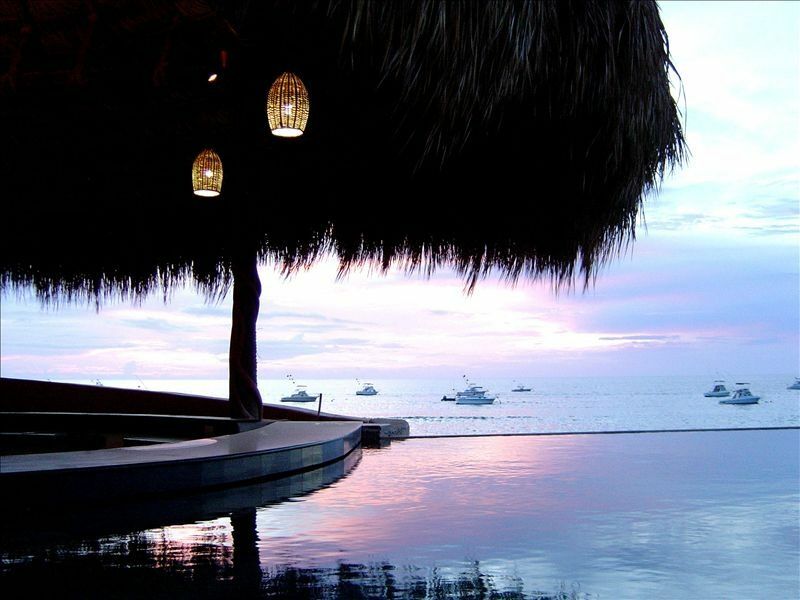 Las palamas cortez is a great complex beautifully situated on the beach. Casa Bella is wonderfully situated close to amenities that the resort offers as well as to the water. Los Barriles is a little slice of heaven no matter what you are looking for - kiteboarding, fishing, paddle boarding. We came back and loved our stay in this condo as much as the first time! As soon as we walked in the door, our shoulders lifted and the relaxation set in! The condo has everything you need to enjoy life in the quiet town of Los Barriles.. We spent each morning by the pool watching the sun rise over the Sea of Cortez as the fishermen started their day. Days were spent exploring the waterfalls, caves, beaches, and hot springs nearby, as well as enjoying the authentic Mexican cuisine. On most days of our stay, the Sea was perfect for a kayak or a SUP. It doesn't get any better than this! This condo is everything the host describes and more. My favorite part of the day is watching the sunrise every morning over the Sea of Cortez! I will definitely miss that. Nightly rate $225/night Weekly rate $1475 /week Rates are subject to change until reservation is confirmed.